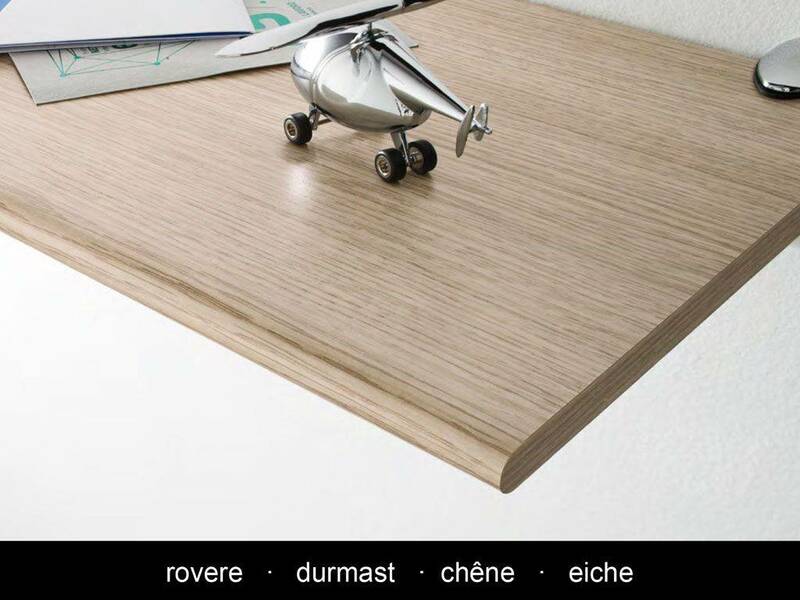 Last 5582 items in stock! 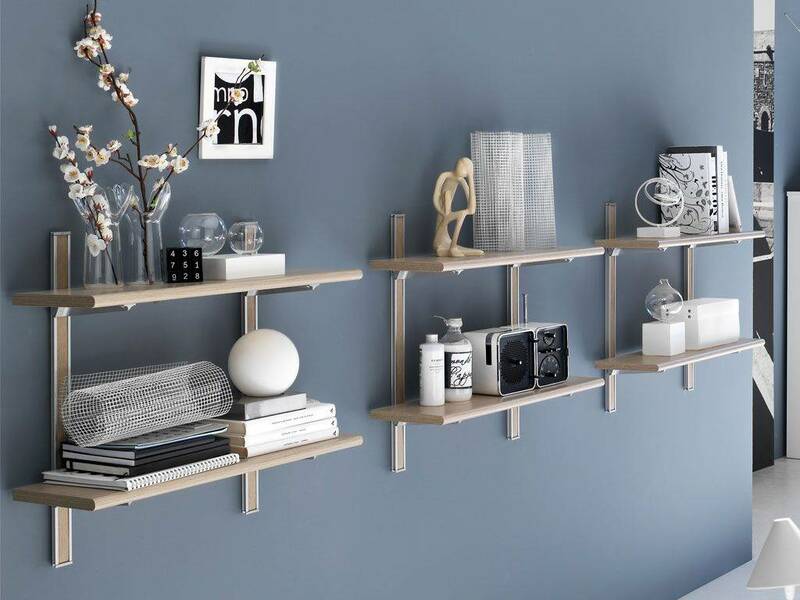 Evolution 90 is a modular practical and fast system to set up bookshelves with a great dimensional variety, very few holes and lots of creativity. 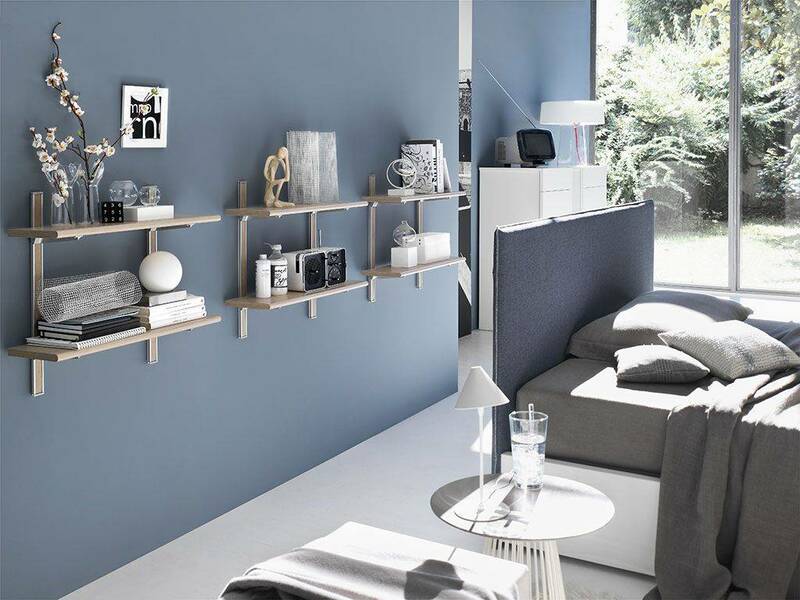 Matching different profiles of heights, are made on the wall customised compositions with vertically and horizontally development. 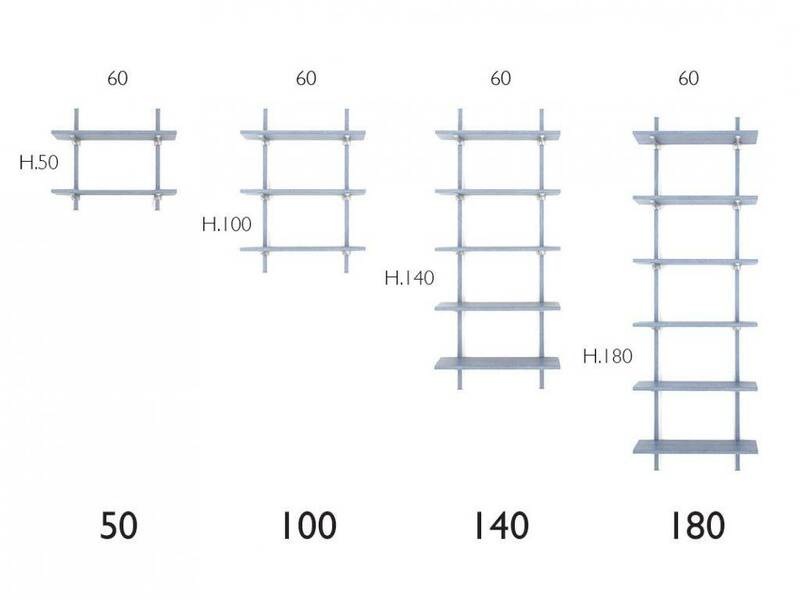 Maximum load on a brickwall, 25 kg each linear meter. 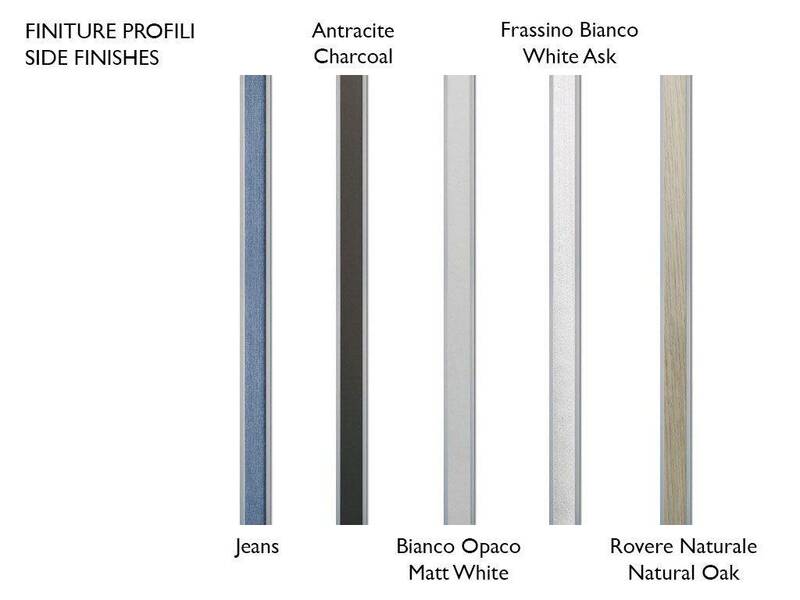 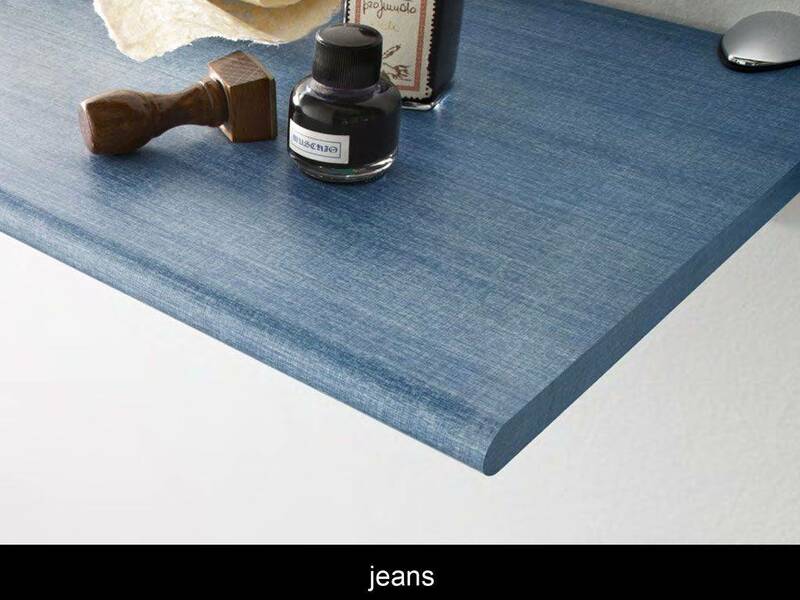 Finishes of wooden shelves are always coordinated with the cover profiles finishes. 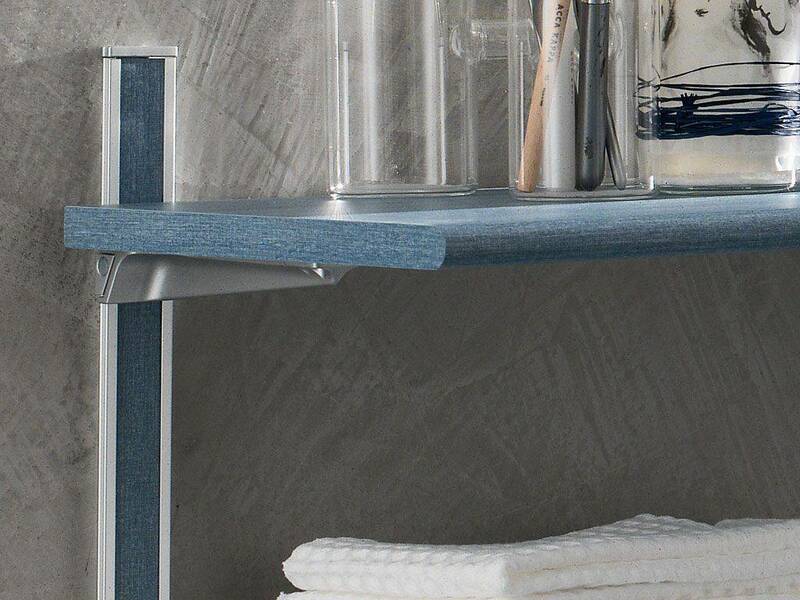 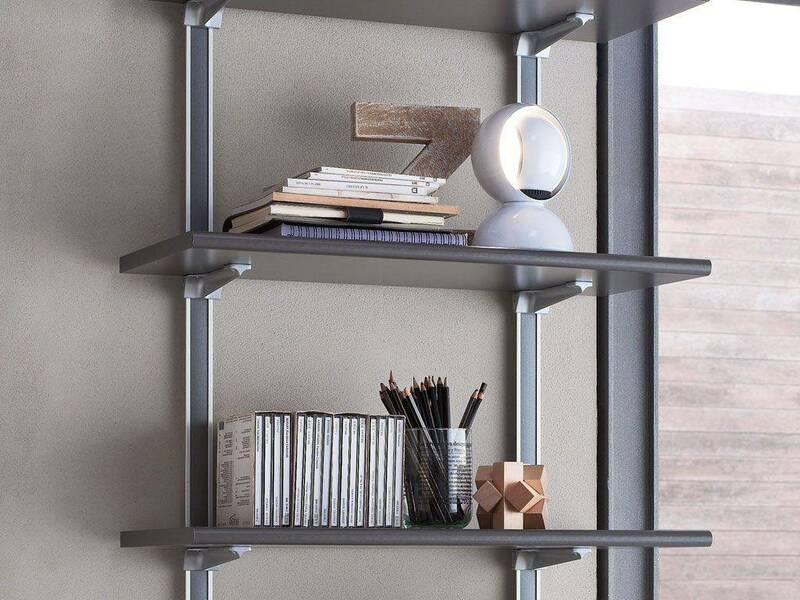 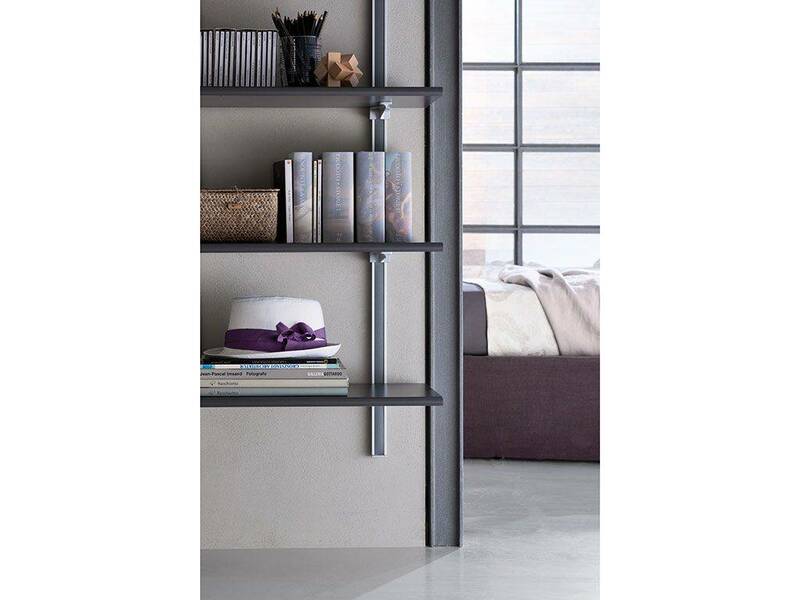 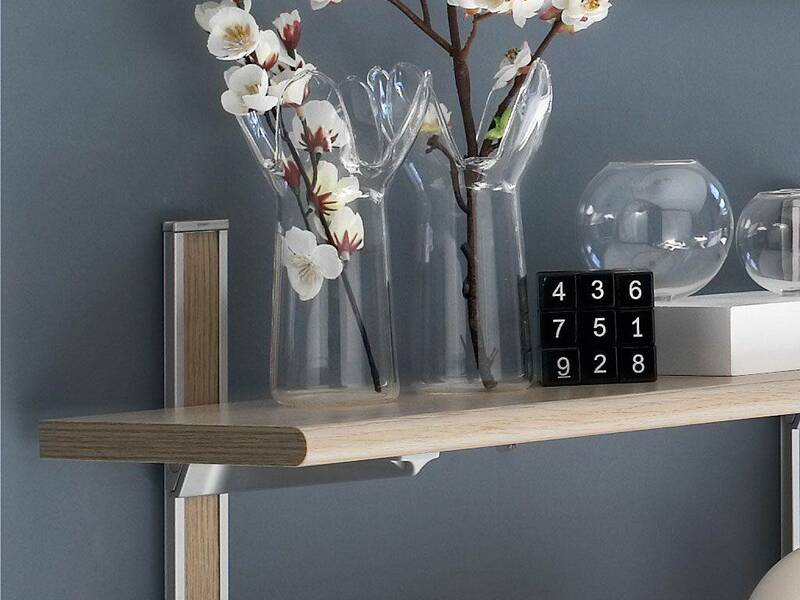 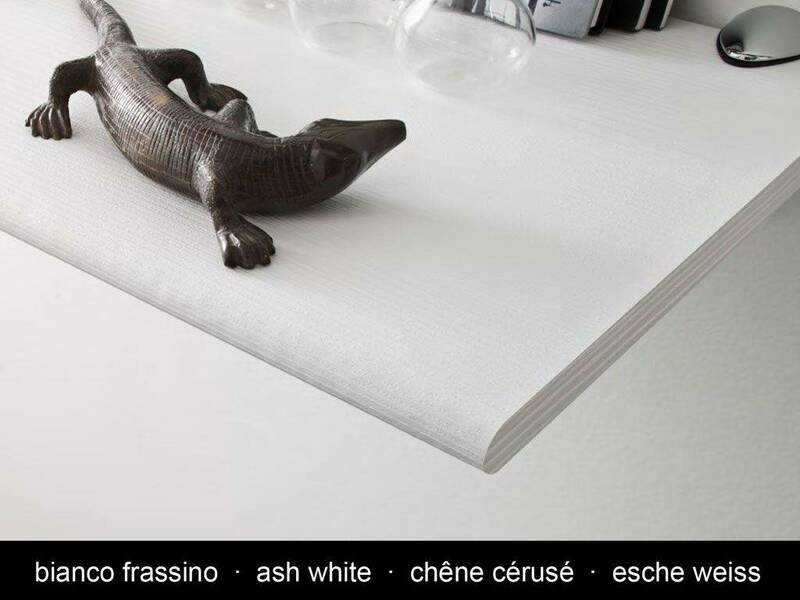 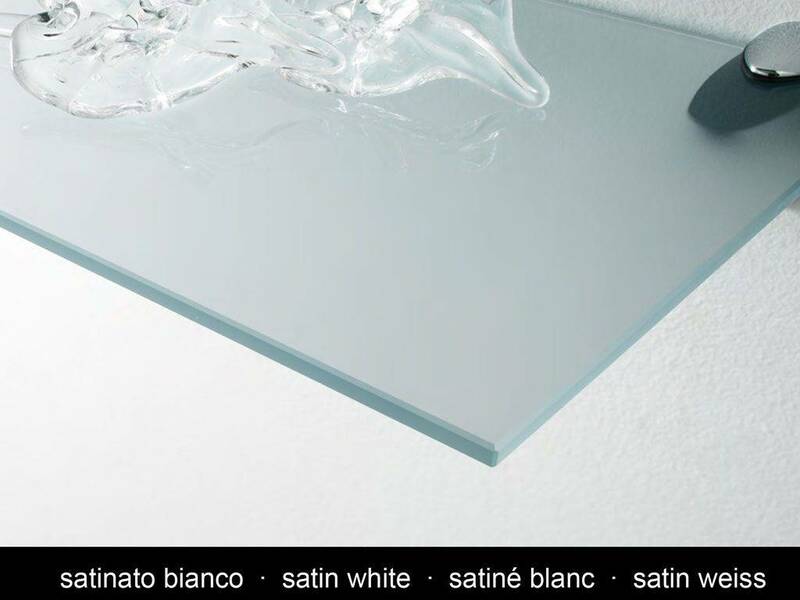 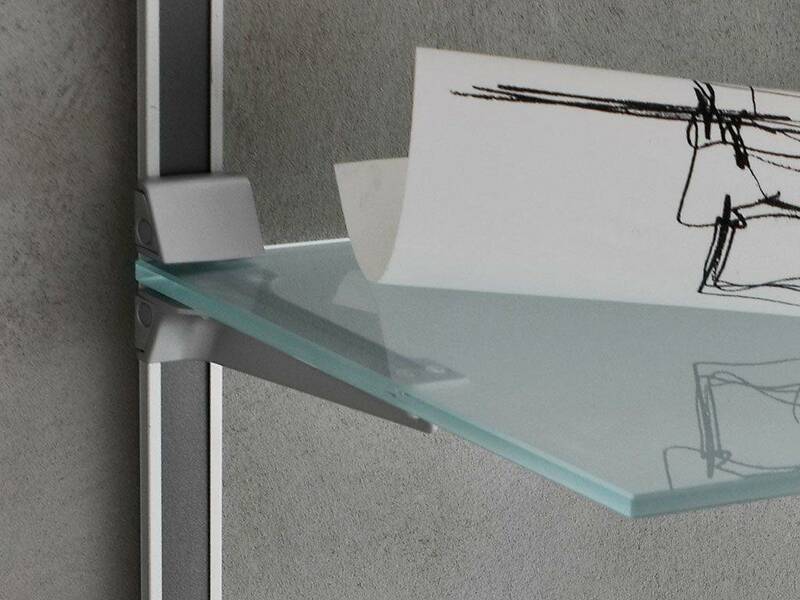 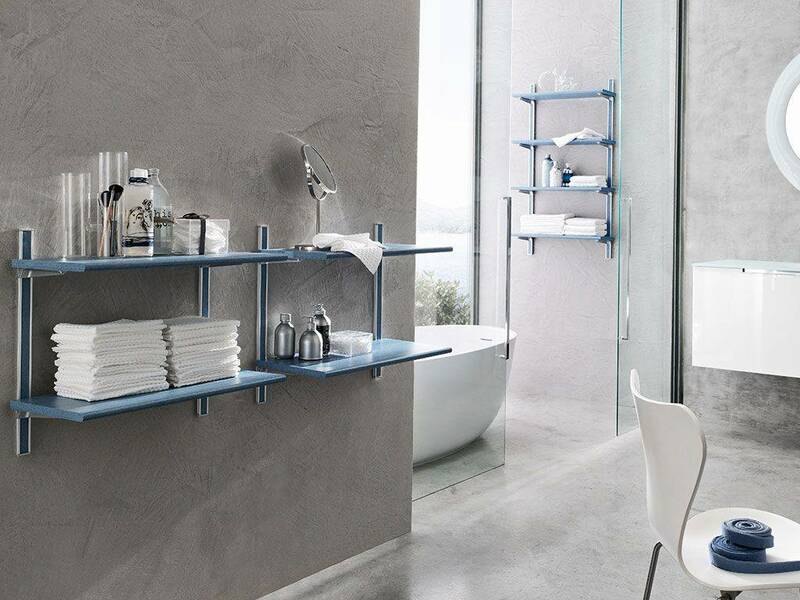 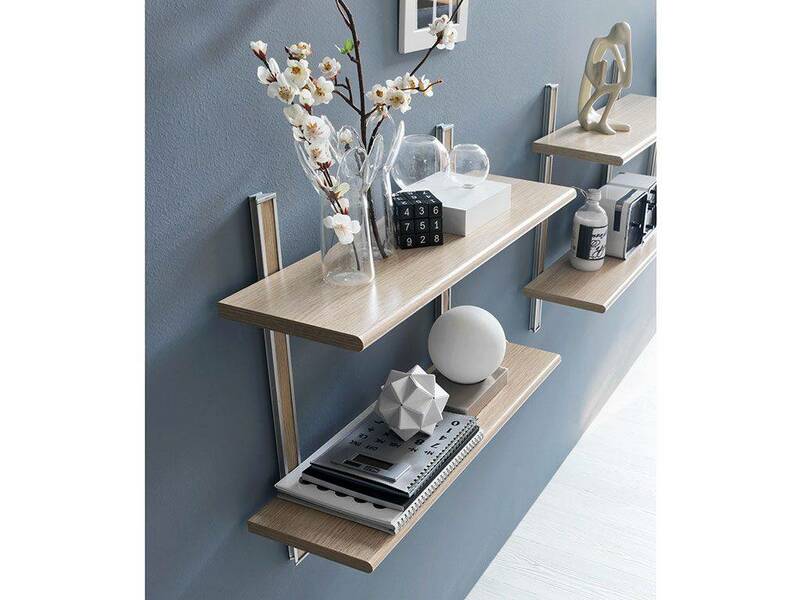 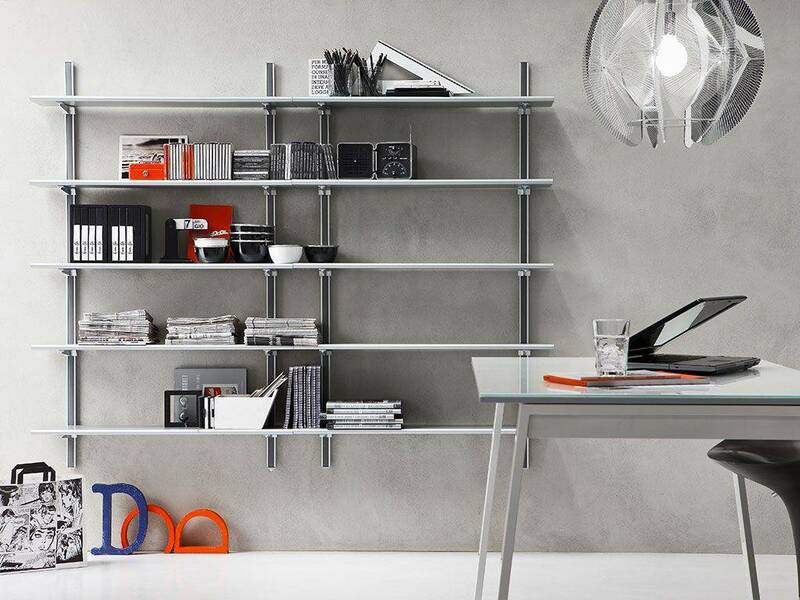 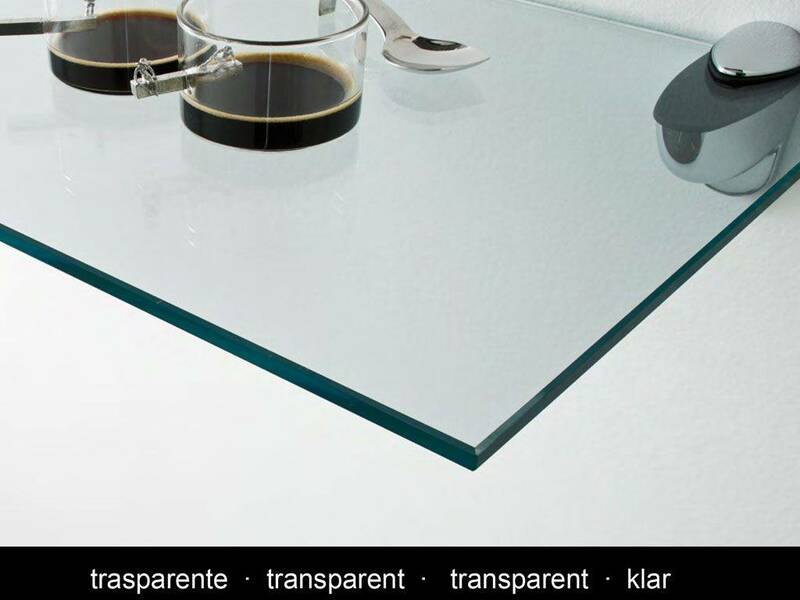 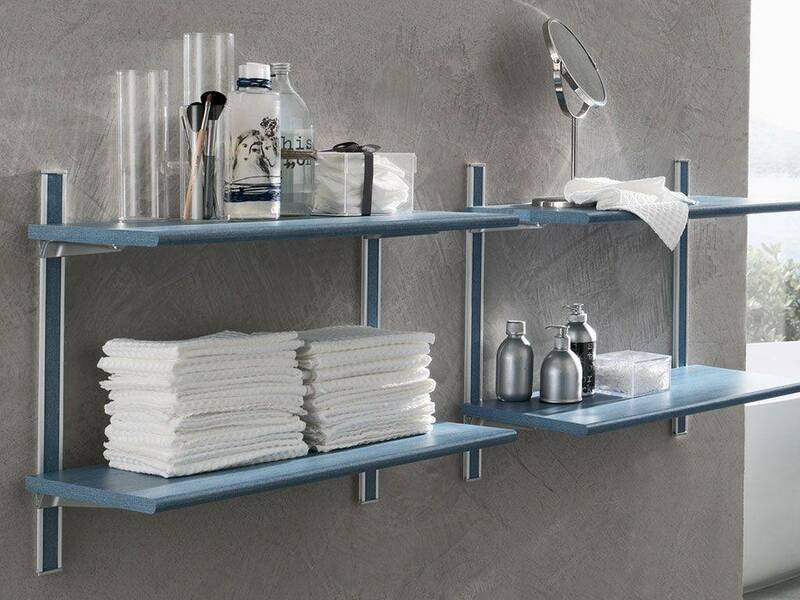 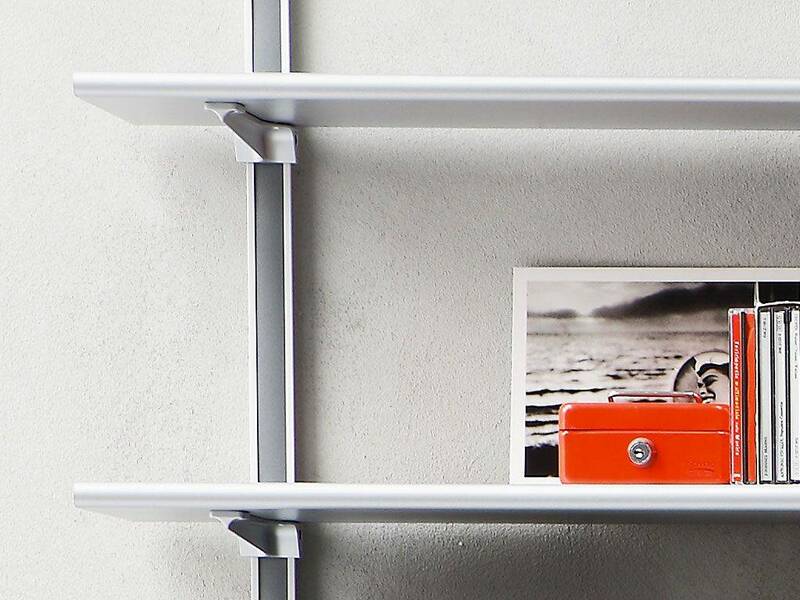 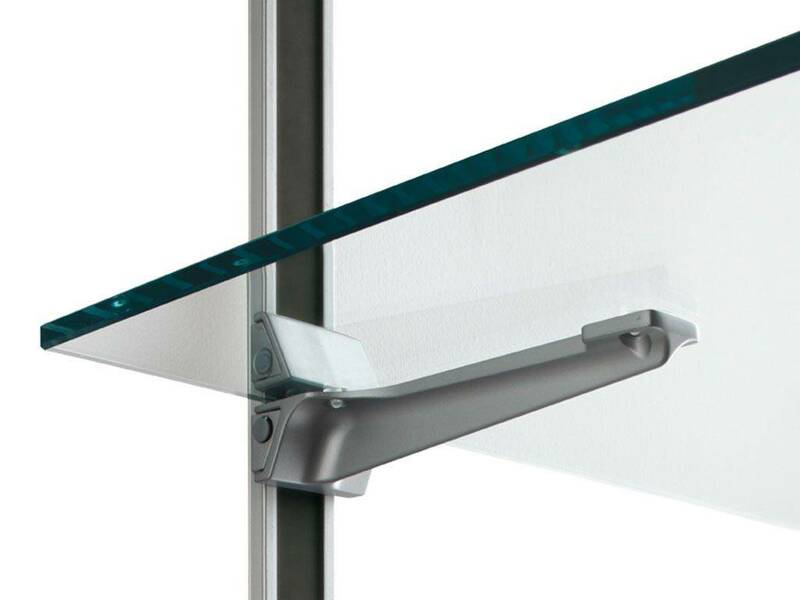 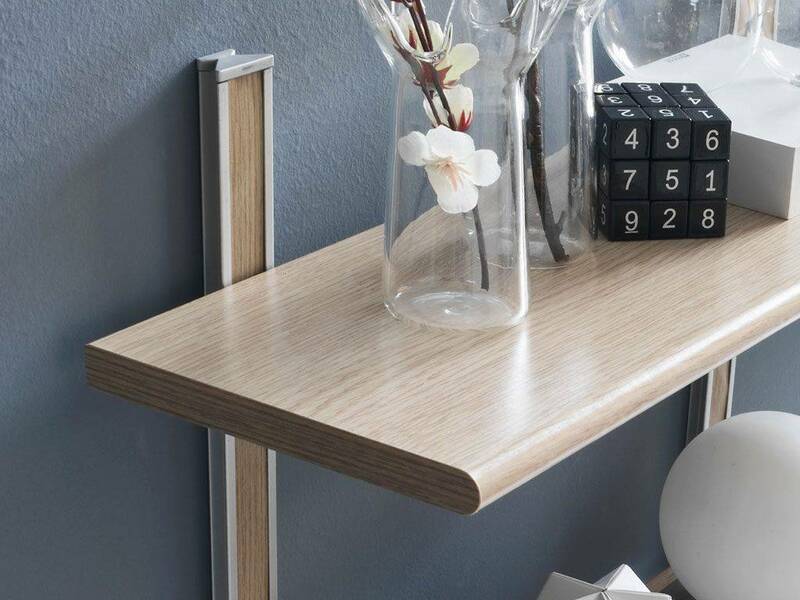 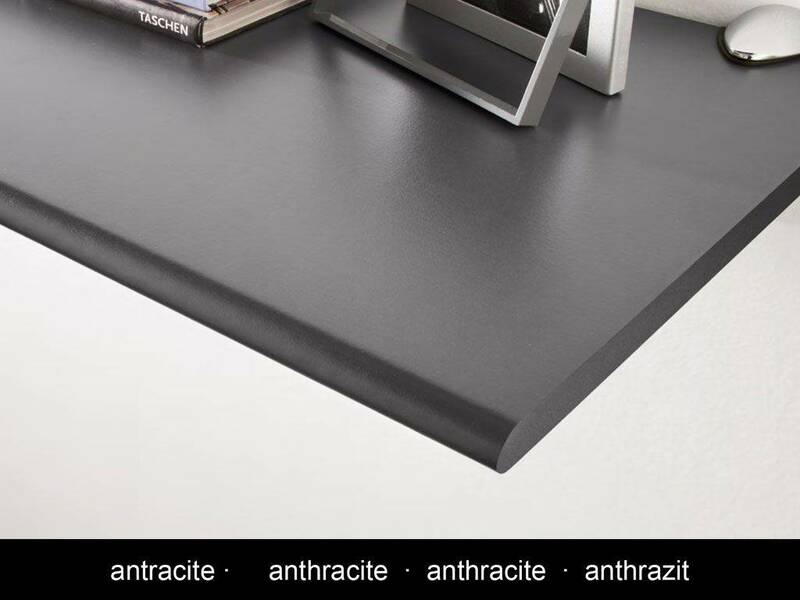 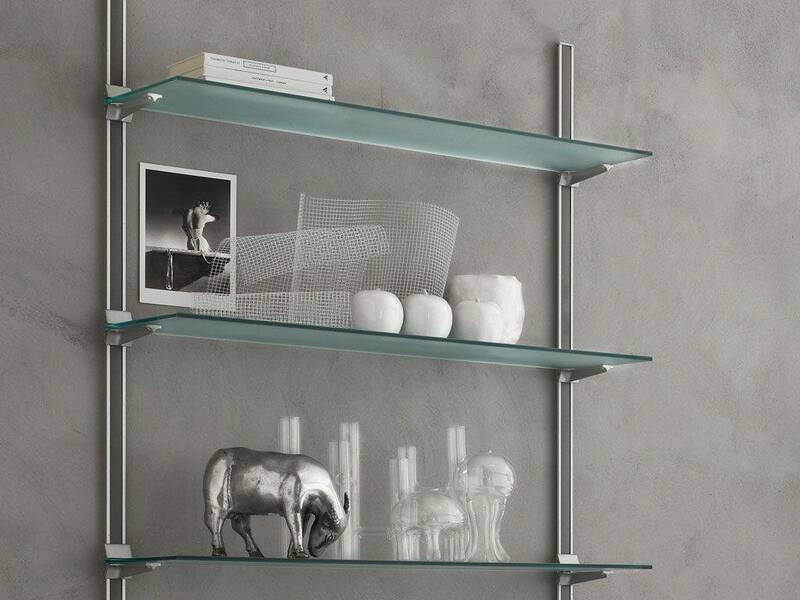 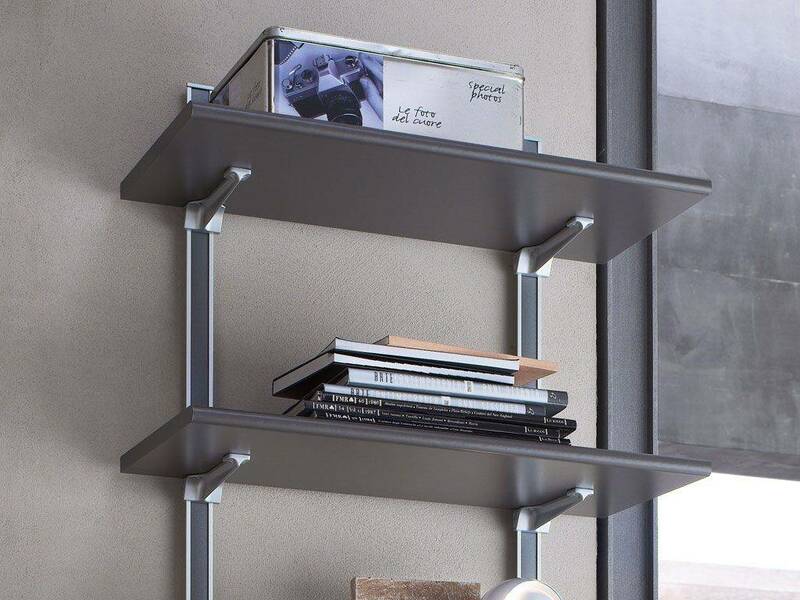 Shelves in transparent or frosted glass can be coordinated with Anthracite or Opaque White cover profile finish. 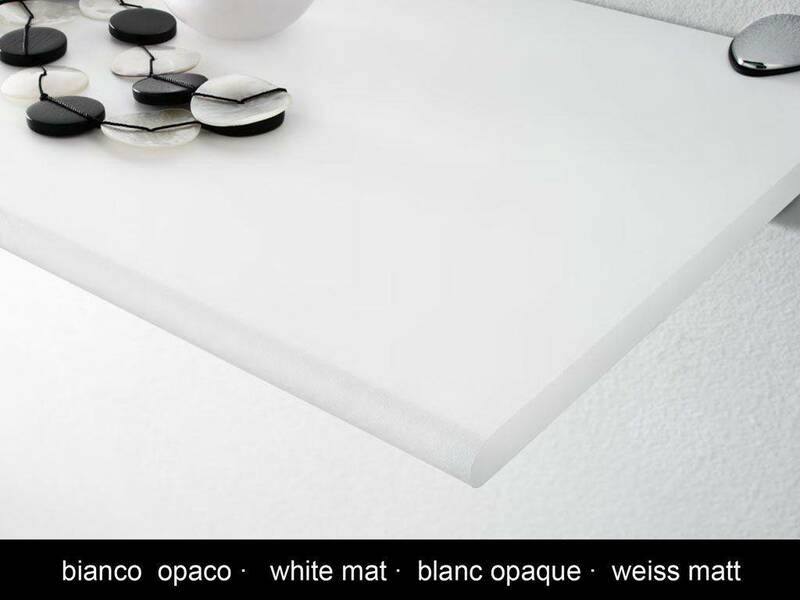 Clarify in this case the chosen color, in the "NOTES FIELD" during the order. 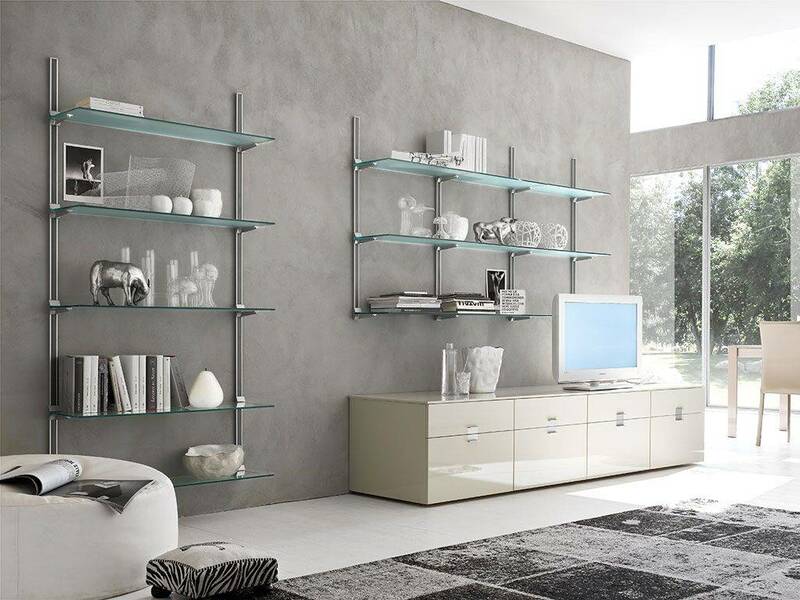 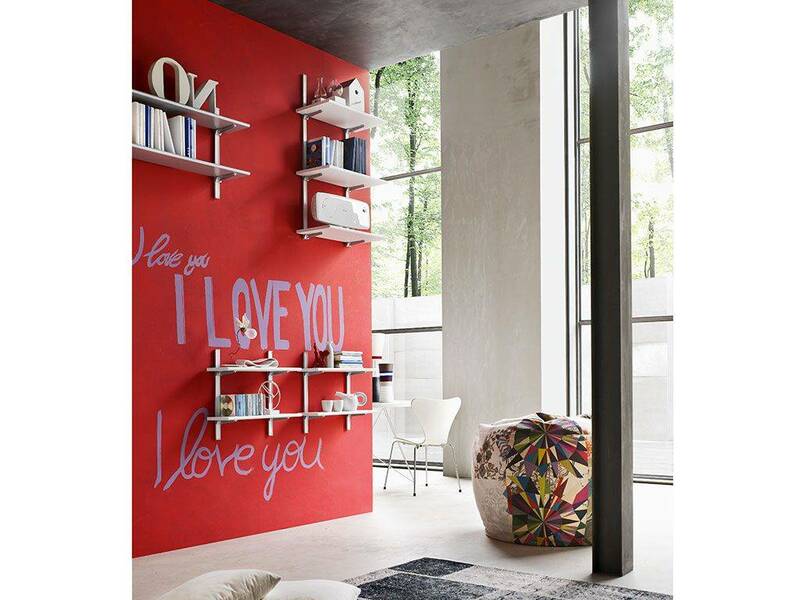 The elegance of glass or wood finishes shelves in postformig version complete the style and the decor of each room. 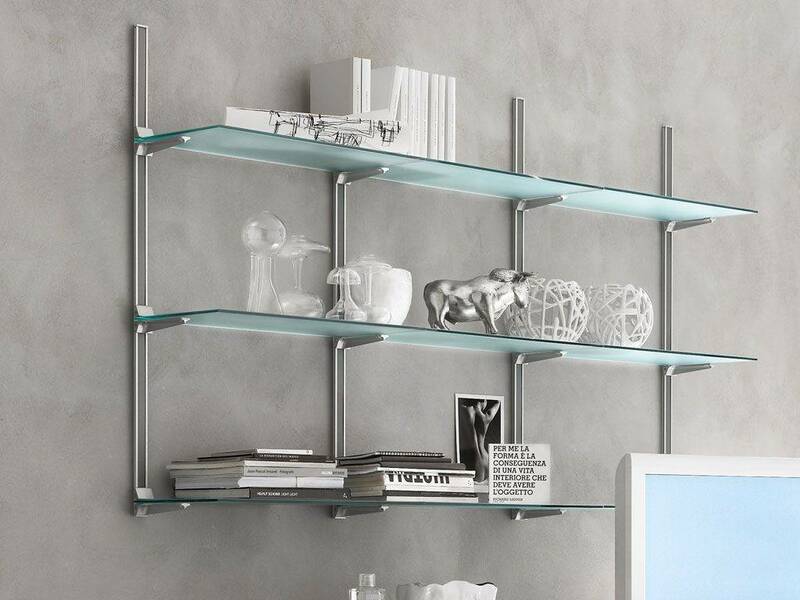 Strong and visually light: shelves in satin glass, available also in transparent glass, are a refined choice for a modern living. 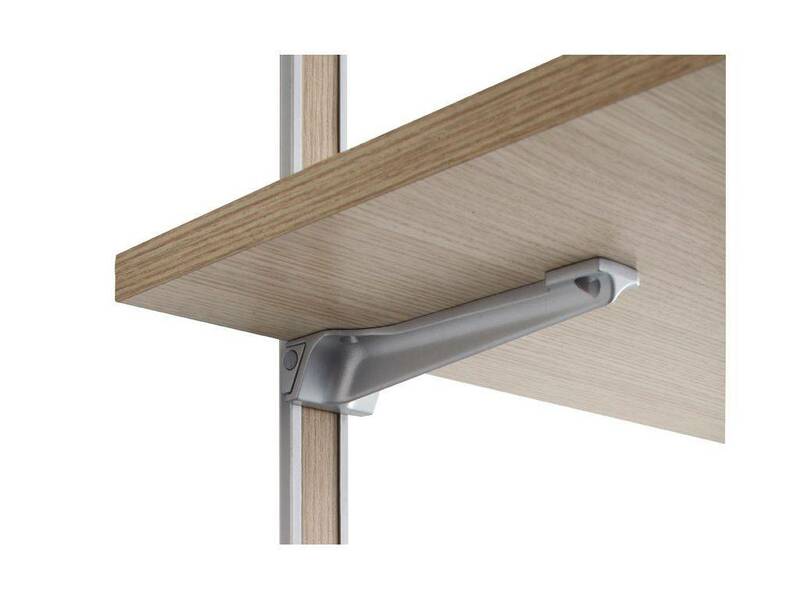 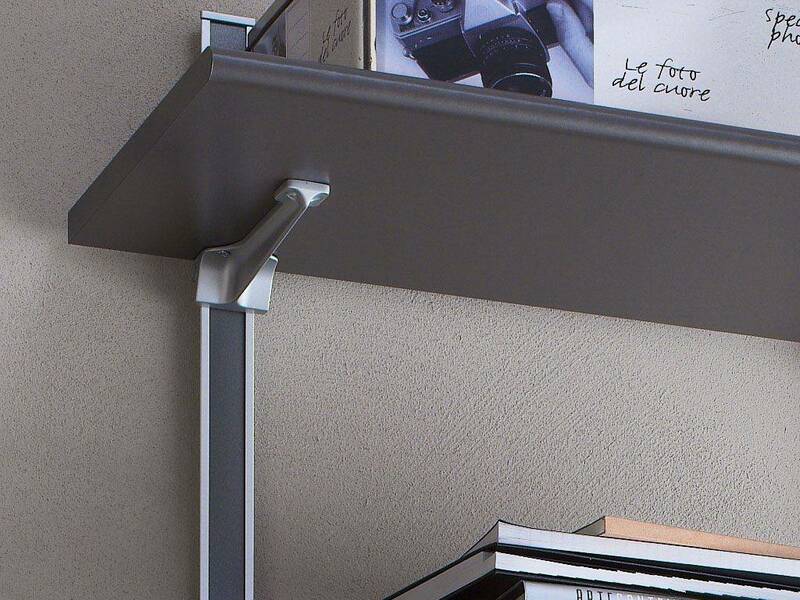 With shelves depth 28 cm you can solve every functional need, their are perfect for books and also in office for binders. 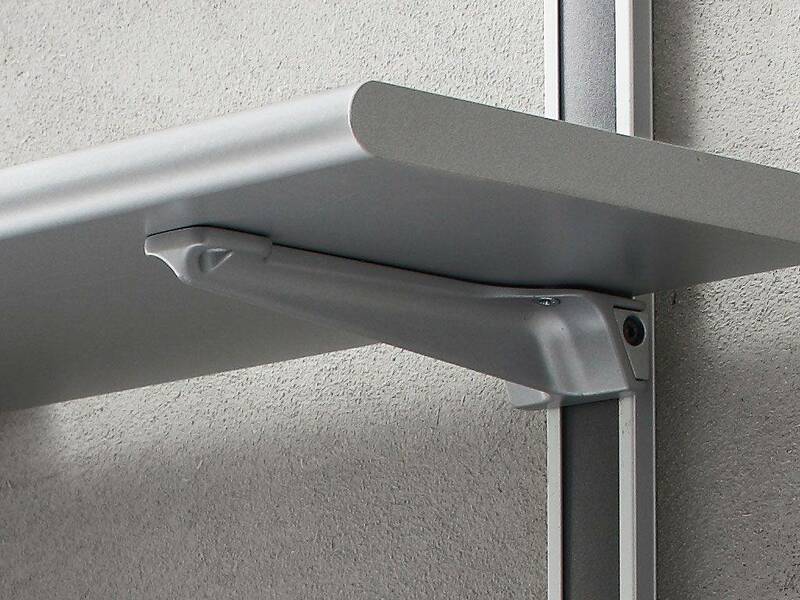 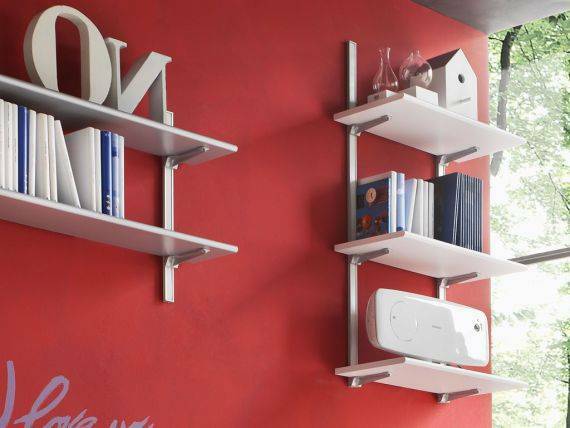 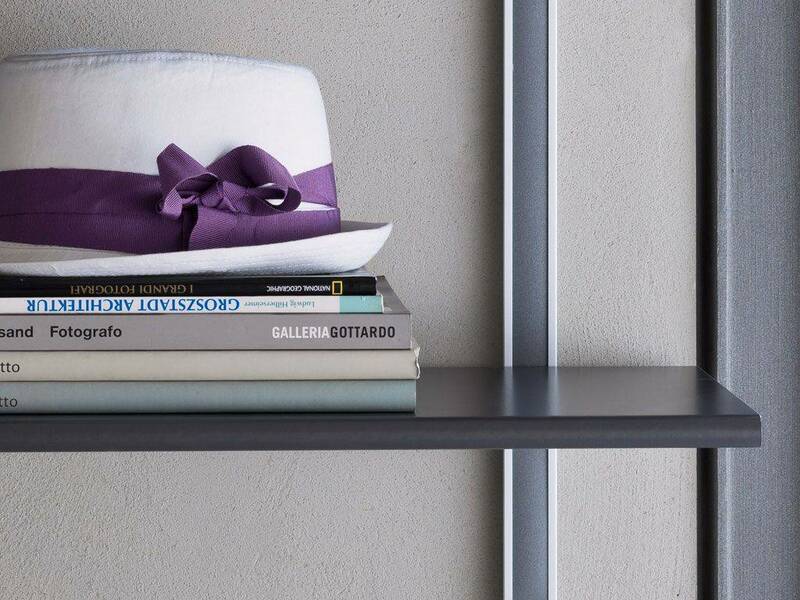 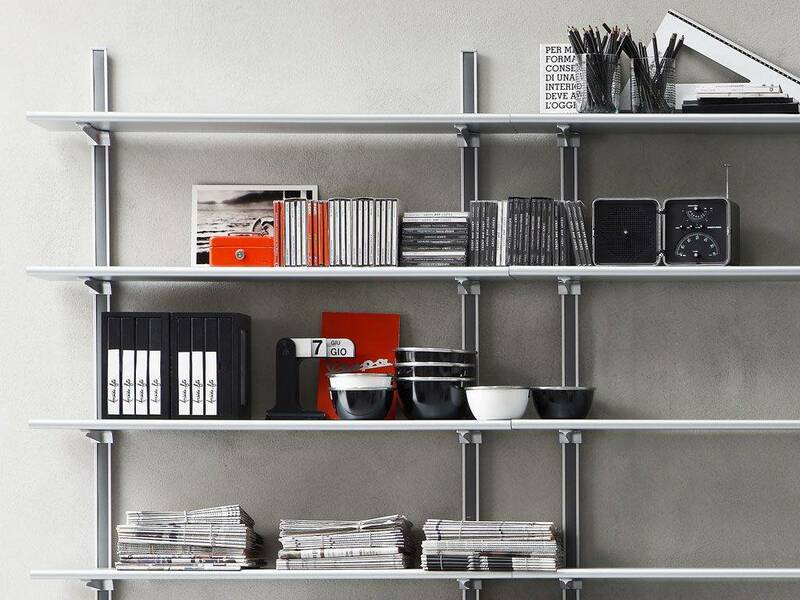 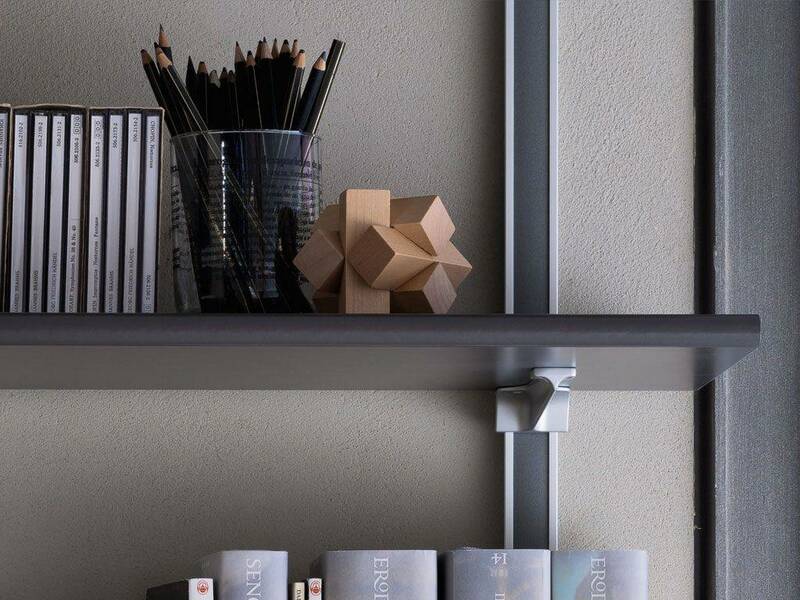 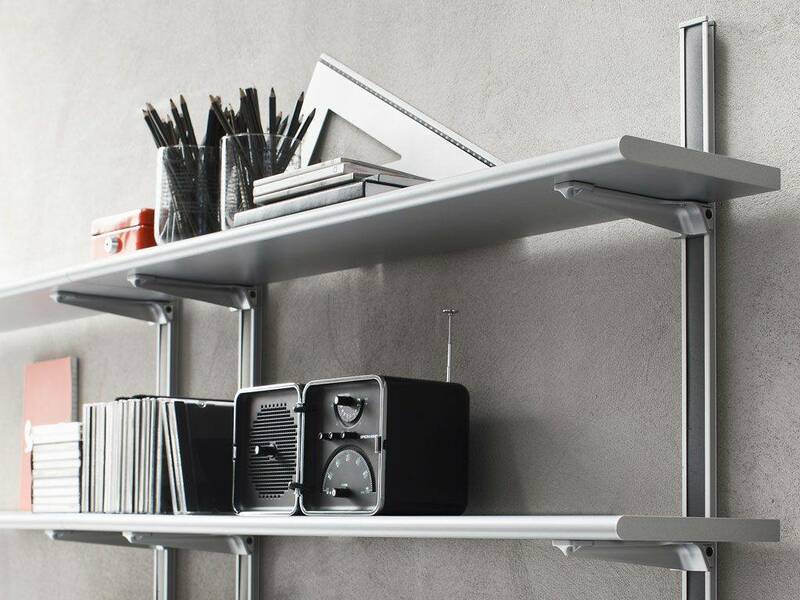 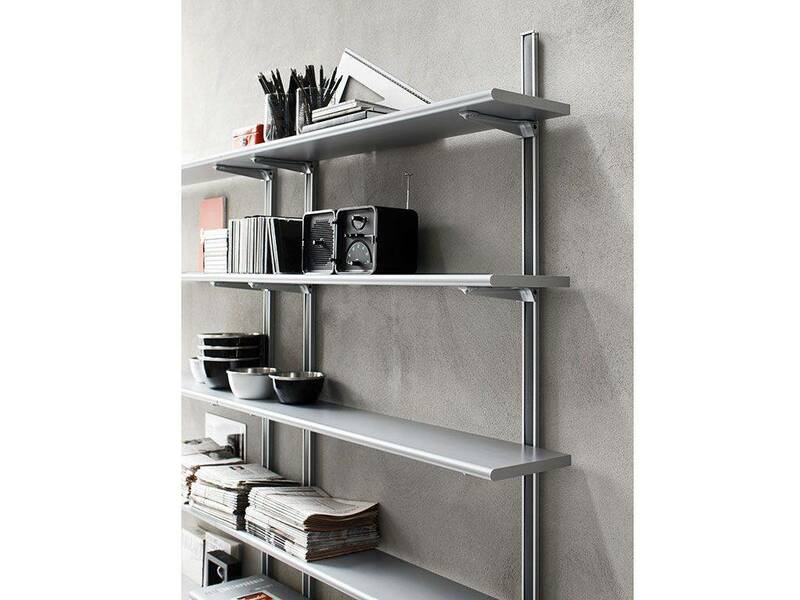 Profiles are in aluminium, a resistant and recyclable material,they have the added edge made with the same shelves finishes, they are freely and easily positionable and is also possible to rearrange them at all times. 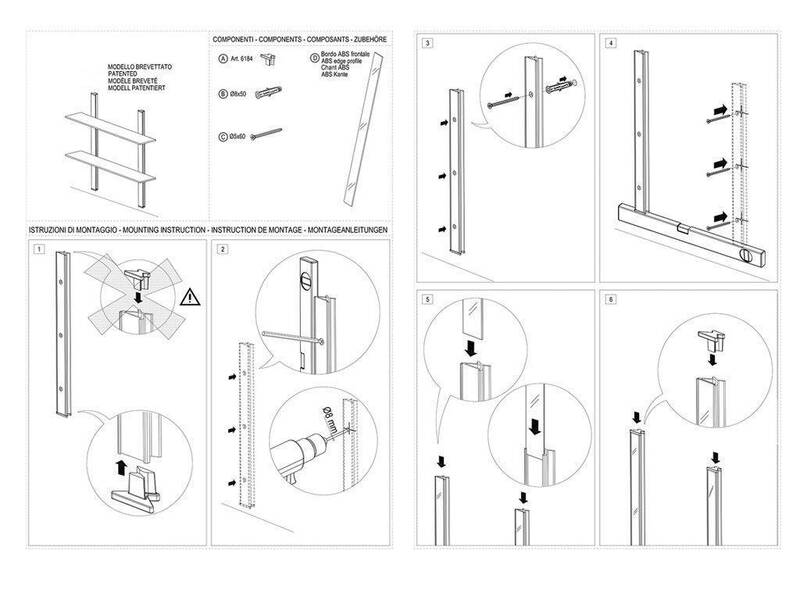 Profiles are available in the following measures: cm. 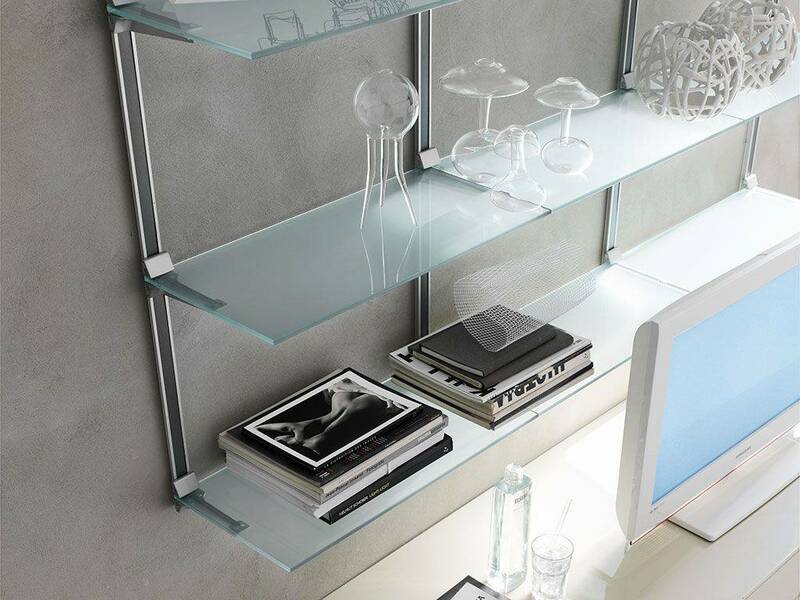 50, 100, 140 e 180, packaged two at a time, they allow a multitude of decor solutions.